I’ve never really been into the whole contouring thing, mostly because I figured it was tricky and ain’t nobody got time for that. Turns out, it’s really not that tricky, you just need the right product and the right brush. For me, I’m not after that super sculpted look, I just want to add a hint of definition to my pizza cheeks. That’s where the Makeup Forever Pro Bronze Fusion comes in. Yes, it’s a bronzer, but it’s not shimmery or orange toned, and it’s not overly pigmented either, so it’s hard to go overboard with. For my skin tone, this is the perfect hint of a shadow, super natural looking, but makes all the difference. The other half of the contour battle is finding the right brush. For a long time I’ve struggled to find a brush that is small enough to fit right into the hollow of my cheekbone, fluffy enough to blend the product out easily, and with bristles that pick up just the right amount of powder. 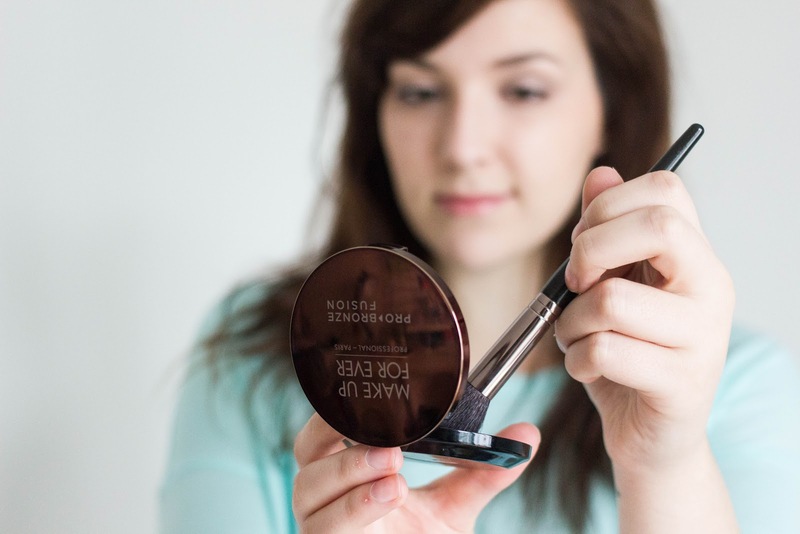 Turns out the perfect brush for me is the Makeup Geek Pro Rounded Blush Brush. At only £7.95 on Beauty Bay, it’s a bargain, and I wouldn’t be without it in my stash. I’m a contour convert, are you?